Rainy Night Creations is a one man indie game development studio currently based in Madrid, Spain. The development studio was founded at the same time "FreezeME" development started, back in 2012. "FreezeME" was released on Steam in December 2015 and ported to all consoles the year after. The second title "Vaccine" was released for Steam and all consoles in February 2017. Currently working on "Innocence Island". Innocence Island is an adventure game that revolves around the idea of gaining knowledge. Your character has forgotten all her abilities and you will only be able to obtain them by observing the world around you (e.g. you will be able to jump after observing a monkey jumping). The game will play on the connection between the character in-game and the real player who will discover, as they both will strive to get the same outcome. With objects and landscapes inspired by a mix of Asian cultures, the game is rendered in a very low resolution using a pastel colour palette. 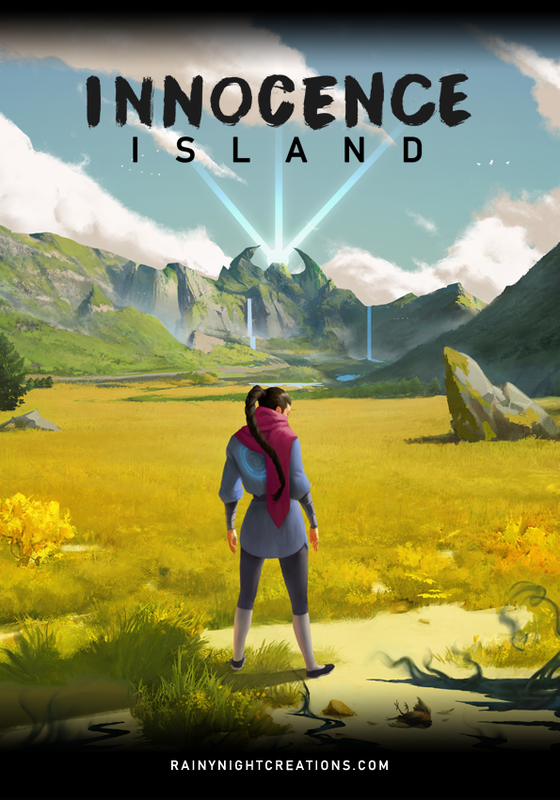 Innoncence Island is planned for PS4, Xbox One, Nintendo Switch, Oculus VR and Steam. Vaccine is available on Switch, PS4, Xbox One, Steam and Wii U.
FreezeME is a a 3D platformer in the style of the N64-era but wait there is a twist! The main character “R” has one special tool – a camera around her neck. This camera allows her to literally freeze the objects she photographs. This brown-eyed moppet with a camera around her neck is hot on the trail of her best friend, “M,” who has been abducted by the dastardly Fat the Cat that longs to create what he describes as a “Dog-Free-World”. How kidnapping M will help him with this goal remains something of a mystery, but R is determined to thwart him by rescuing M from his clutches. To enter Fat the Cat’s isolated lair where M is being held, R needs a special key. The key can only be forged from pieces of an ancient material which are yellow cubes. As R collects the pieces of this ancient material, she will unlock new areas and ultimately find enough pieces to assemble the key and enter the final boss’s lair to save her friend. FreezeME is available on PS4, Xbox One, Steam and Wii U. You can access the Press Kit here. IF YOU WANT TO ASK US ANYTHING, FEEL FREE TO SEND US A MESSAGE.